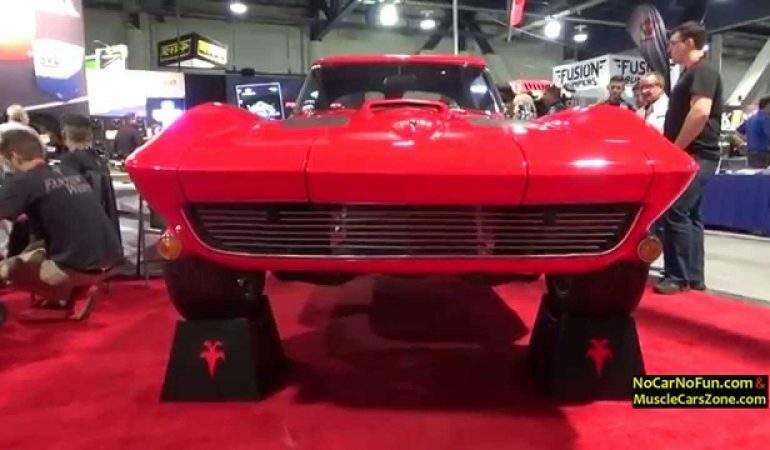 Stunning Chevrolet Corvette C2 Stingray Spotted At 2015 SEMA Motor Show! This video will take us back to the recently held 2015 SEMA Motor Show, one of the highly anticipated car event. Here, we spotted a gorgeous looking Chevrolet Corvette C2 Stingray on display. The well restored muscle car looks strikingly beautiful with its glossy red paint job which is perfectly matched with the black leather interior. It is also adorned with chrome bumpers and original markings and emblems. No further details were mentioned about the engine but overall, this Chevrolet Corvette C2 Stingray is an absolute head turner!